To find maps, ratings, and more tourist information, read our Colombo route planner. New Delhi, India to Colombo is an approximately 7.5-hour flight. Prepare for a bit warmer weather when traveling from New Delhi in March: high temperatures in Colombo hover around 38°C and lows are around 29°C. 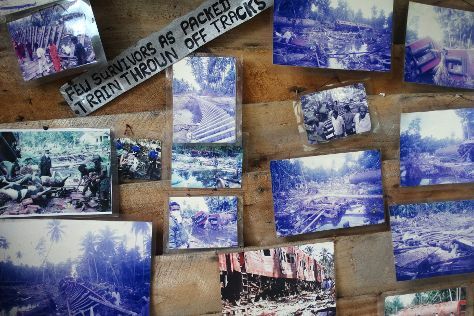 Wrap up your sightseeing on the 5th (Tue) early enough to take a train to Hikkaduwa. Kick off your visit on the 6th (Wed): stop by Made In Ceylon, then contemplate the long history of Galle Fort, then view the masterpieces at Saffron Robes Gallery and Studio, and finally take in the exciting artwork at Tsunami Photo Museum. Get ready for a full day of sightseeing on the 7th (Thu): enjoy the sand and surf at Jungle Beach, take in the exciting artwork at EXOTIC ROOTS, then pause for some serene contemplation at Dutch Reformed Church, and finally enjoy the sand and surf at Hikkaduwa Beach. To see reviews, ratings, where to stay, and more tourist information, you can read our Hikkaduwa trip planner . Getting from Colombo to Hikkaduwa by train takes about 1.5 hours. Other options: drive. In March, daytime highs in Hikkaduwa are 38°C, while nighttime lows are 29°C. 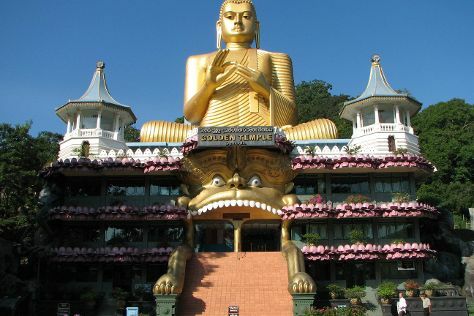 Finish up your sightseeing early on the 7th (Thu) so you can travel to Kandy. 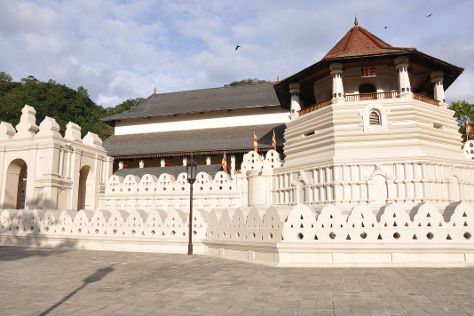 Kick off your visit on the 8th (Fri): stroll the grounds of Commonwealth War Cemetery, browse for treasures at Sriya & Daya Curio Shop, then contemplate the waterfront views at Kandy Lake, then stop by Prestige Selections - Batiks, Handicrafts and Gift Items, and finally steep yourself in history at Temple of the Sacred Tooth Relic. To see maps, other places to visit, more things to do, and other tourist information, you can read our Kandy trip itinerary builder app . Traveling by combination of taxi and flight from Hikkaduwa to Kandy takes 2.5 hours. Alternatively, you can drive; or do a combination of train and flight. Wrap up your sightseeing on the 8th (Fri) to allow time to drive to Dambulla. Start off your visit on the 9th (Sat): pick up some local products at Dambulla Dedicated Economic Centre, then make a trip to Ibbankatuwa Megalithic Tombs, and then take in the spiritual surroundings of Golden Temple of Dambulla. To see more things to do and other tourist information, read Dambulla online journey planner . Traveling by car from Kandy to Dambulla takes 1.5 hours. Cap off your sightseeing on the 9th (Sat) early enough to travel back home.